Hideaway India Pale Ale - Steel & Oak Brewing Co.
Our Head Brewer Eric has been messing around with yeast blends recently. An IPA we released in November called Homebody was fermented with one of these blends. We really liked how Homebody turned out as the yeast profile gave it an added layer of depth. However, one of the things we wanted to tweak for Hideaway was to turn down the banana notes that were in Homebody and turn up the dryness. We like hazy IPAs just as much as the next person but we prefer them when they finish a little dry. Juicy up front, dry in the back, like a beer mullet of sorts. That is exactly what this latest IPA is! 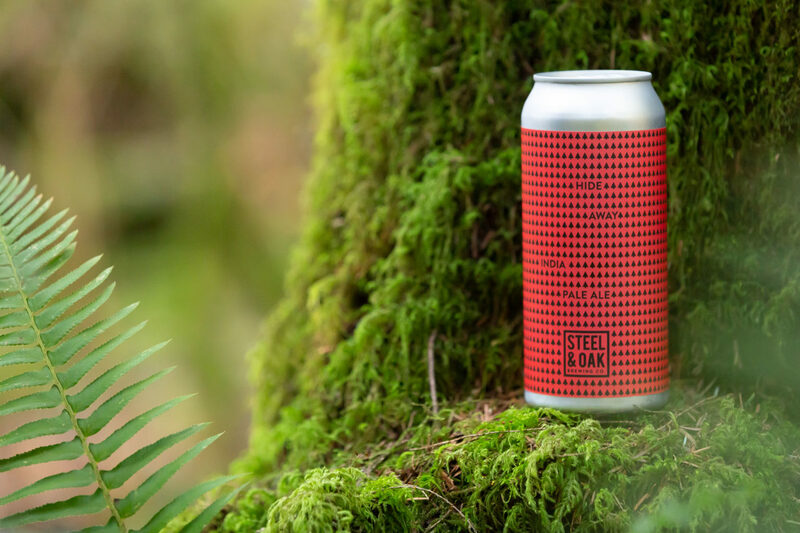 Brewed with Pilsner malt, rye, flaked oats and dry hopped with Vic Secret, Azacca, and Simcoe, Hideaway has tropical notes of pineapple, mango and tangerine with a hint of pine. It pours hazy and finishes dry and with a touch of spice. We felt that Option 1 was what we were looking for and rolled with it. 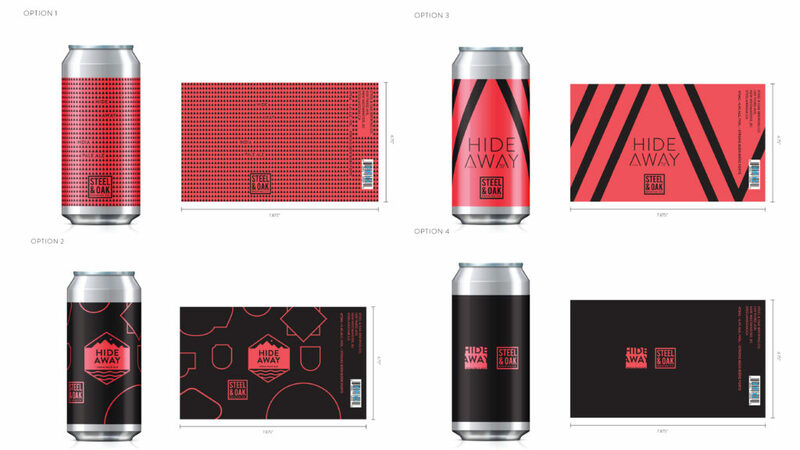 Hideaway India Pale Ale is available in the Tasting Room and shipping out to the Interior and Island, so keep an eye out homies.